The Brisbane Golf Club will again host the 2017 Isuzu Queensland Open from October 26-29. To ensure the smooth running of this event we, along with Golf Queensland, are calling for volunteers to assist with a variety of roles. 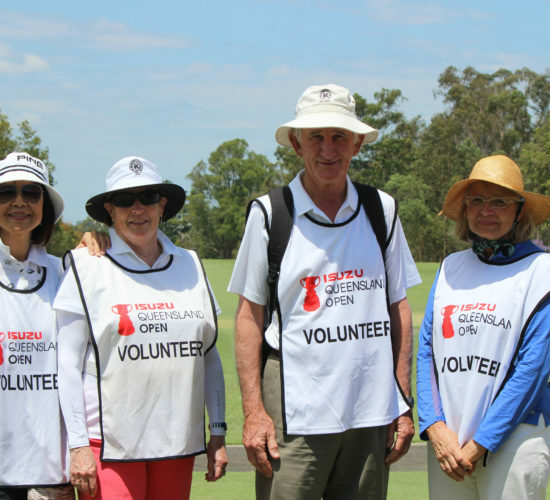 We were extremely proud of the number of volunteers that assisted with the 2016 Isuzu Queensland Open and we look forward to gaining a similar level of involvement from our Members. I’m delighted to announce the application process for volunteers is now open. Simply click on the button below and send an email to our General Manager, Geoff Kuehner at geoff@brisbanegolfclub.com.au to register your interest. A lunch pack for each shift worked. Entry to the 2017 Golf Queensland Volunteers Golf Day. On-Course Scorers (Thursday & Friday) – An on-course scorer is allocated to a specific hole which is positioned near selected greens. Upon reporting for duty, each scorer is allocated a PDA (similar to a smartphone) and a scoring sheet of players. Walking Scorers (Saturday & Sunday) – A walking scorer is allocated to each group on Saturday and Sunday. Each scorer will be allocated a PDA and scoring sheet of players, and will record scores for each player upon completion of each hole. Fixed Leaderboard Operators – The Isuzu Queensland Open will feature a major fixed scoreboard. The scoreboard will contain the names of all competing players set out in alphabetical order. There will be one main leaderboard located near the clubhouse at The Brisbane Golf Club and a smaller leaderboard will be positioned at another location on course. Car Park Attendants – Responsible for traffic flow around The Brisbane Golf Club, and designated car parks. The attendant will also be responsible for monitoring spectator numbers. On-course Drink Supplies – Responsible for set-up, distribution, and clean-up of players’ drinks stations situated on course. Clubhouse Scorecard Check – From 11am each day, 2 volunteers are required to check each group’s scorecards, confirm the scores, relay to the leaderboard attendees, and return to the PGA Tournament Director. Roaming Leaderboard (Saturday & Sunday) – The leading two groups on Saturday and Sunday will each be assigned a carry board attached to a motorised buggy, to display the progress score to par for each player in the group. Ball Spotters on Selected Holes – On some holes, where landing zones are difficult to see and/or where spectators may inadvertently stray into the line of play, Golf Queensland allocates ‘spotters’ to monitor strokes played by competitors (especially tee shots). Whilst every effort will be made to accommodate your preferred roles, we cannot guarantee all requests will be met. 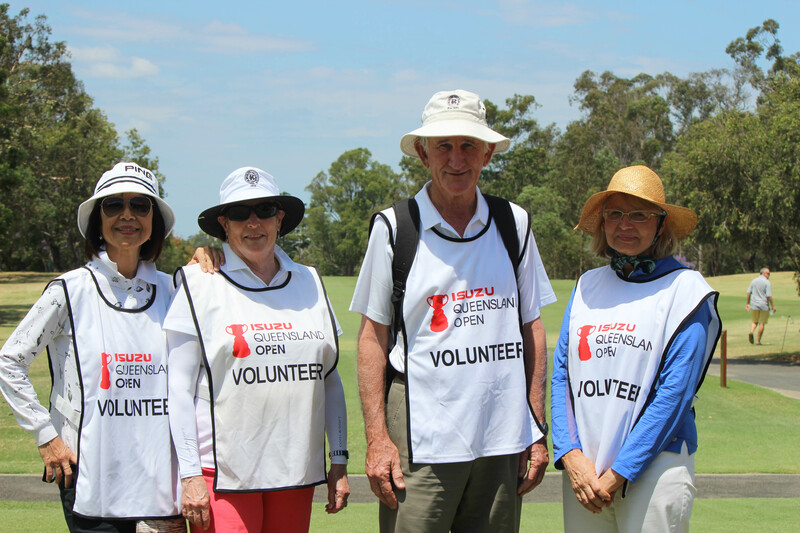 We look forward to working alongside you as a volunteer at the Isuzu Queensland Open. With your help we believe we can make this Open the most successful ever.